This November, voters in Massachusetts decisively defeated a ballot initiative that would have repealed the state’s primary affordable housing law. Question 2 on the Massachusetts ballot asked whether voters should repeal Massachusetts General Law Chapter 40B (“40B”) known as the Comprehensive Permit Law, which provides for expedited permitting for developers that include low or moderate income housing in their proposed developments. 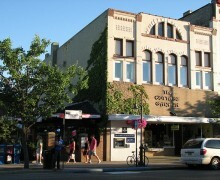 Speciﬁcally, the law allows developers to apply for a single comprehensive permit from a city or town’s zoning board when at least 20% of the housing units in the proposed project will be affordable in towns in the Commonwealth where the number of affordable housing units is less than 10% of the town’s total housing stock. 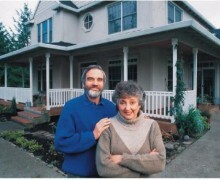 The law, enacted in 1969, has engendered controversy over the years because it enables developers of affordable housing to override stricter local zoning bylaws, such as large lot zoning and prohibitions on multifamily housing, in communities where less than 10 percent of housing is considered affordable. In the ﬁnal tally, 58% of voters – more than 1.2 million citizens – rejected repeal of 40B, with 42% voting to repeal. Eighty percent of cities and towns voted no on the initiative. Opposition to the repeal was strong in both urban and suburban towns. 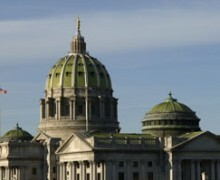 The ballot initiative followed unsuccessful attempts to have the legislature repeal the law, as well as a ballot initiative in 2008 that lapsed when petitioners failed to collect the requisite number of signatures. 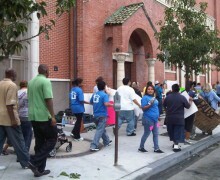 The victory for affordable housing supporters was the result of a comprehensive “No on 2” campaign waged statewide that began with the formation of a 25 member steering committee in the summer of 2009. 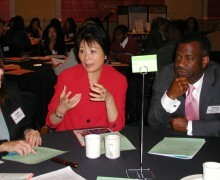 A smaller leadership team met bi-weekly to strategize and develop the weekly action plan, and an advisory committee of more than 1,600 organizations and individuals – including civic, religious, business, civil rights, elderly and disability groups, along with housing advocates – endorsed and worked on the campaign. The $1.2 million effort was funded by more than 1,000 organizations and individuals, with approximately 75% of the donations of $200 or less, reﬂecting the true grassroots nature of the campaign; another $100,000 was provided as in-kind support from participating organizations. Staffed by a full-time campaign manager, the campaign also beneﬁtted from seven full-time organizers, three part-time organizers, an administrative staffer, and eight interns as well as hundreds of volunteers, and media, communications and polling consultants. Campaign Materials: A variety of campaign materials were distributed, including 4,500 lawn signs, 1.2 million palm cards (in English, Spanish, Portuguese, and Chinese), eight different fact sheets targeted at different constituencies, “dear friend” postcards, stickers and buttons. Direct mailings: Mailings were sent to members of boards of selectmen; Democratic and Republican state committee members; city, town, ward and citywide chairs; community preservation committees; local housing authority directors; members of the legislature, candidates for ofﬁce, and the Massachusetts Congressional delegation; and 40B homeowners and tenants. Outreach: Organizers in each region reached out to local leaders, including municipal ofﬁcials, local housing partnership members, town meeting members, civic leaders, and others. Block parties and planning meetings were held in communities across the state. A student coordinator and interns conducted outreach to college students, with campus organizers identiﬁed at ten colleges. The campaign developed a student Facebook page. Trainings: Organizers and volunteers received trainings held in Worcester, Boston, and Cape Cod. Community Forums and Debates: The campaign participated in dozens of community forums and ballot question debates throughout the state. The campaign obtained support from all four gubernatorial candidates and stayed in regular communications with their campaigns. Members also met individually with dozens of candidates for House and Senate seats to brief them on the campaign and key messages. The campaign took advantage of CHAPA’s research and analysis of data from the state Department of Housing and Community Development and municipal ofﬁces across the state documenting the impact of the law since it was enacted in 1969. 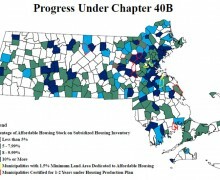 Massachusetts Law 40B has been used to create more than 58,000 new housing units in at least 1,000 developments, including almost 30,000 houses, condominiums and apartments affordable to households with incomes below 80% of the area median. Within the last ten years, 10,000 affordable units have been built. 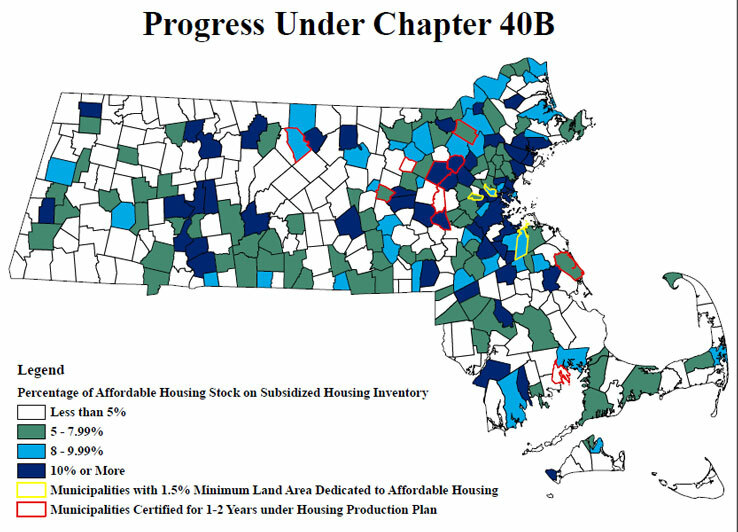 The housing production under 40B is higher than any other single housing program in the Commonwealth. Expenditures and job creation: 47,683 jobs and $9.25 billion in economic activity from the construction of Chapter 40B housing units and resulting economic linkage during the period from 2000 to April 2010. Projected expenditures and job creation: Projections based on the proposed construction of Chapter 40B units and economic linkages expected to result from the proposed construction include totals of $10.42 billion in economic linkages and 54,307 jobs. Household spending: Spending by household residents of Chapter 40B units built from 2000 to April 2010 is estimated to result in $61.8 million annually in property taxes, $93.7 million in state income taxes, and $22.8 million in sales taxes (all taxes in 2008 dollars). These efforts were captured in and enhanced by extensive media coverage garnered by the campaign. A rapid response team of volunteers responded immediately upon request to various online articles and blogs as a way to insert campaign messages to the readers. A major organizing effort among the interfaith community led to a statement endorsed by more than 200 religious leaders and lifted up at two press conferences, including one speciﬁcally convened by the Cardinal and Catholic bishops. CHAPA staff assisted in recruiting 40B residents to serve as spokespeople to the campaign and to share their stories with the media, including in a 30-second paid ad that featured the voices of residents living in affordable housing. The ad aired widely the last eight days of the campaign on broadcast and cable stations. Op-eds were placed in 40 newspapers, letters to the editor appeared in virtually every major newspaper in the state, and the campaign garnered 62 favorable editorials. Campaign representatives were quoted in numerous news stories and appeared on network and local cable television shows. The campaign also took advantage of social media, obtaining more than 3,000 Facebook followers and approximately 250 Twitter followers. The campaign shared information through daily updates with more than 75,000 “visitors” through its website . A one- week “money-bomb” through social media also assisted in the fundraising effort from smaller donors. The campaign placed ads via Facebook and Google and in targeted online papers from August 15 through the election. As election day approached, energy turned to direct voter outreach, with literature drops reaching more than 50,000 residents in 40B and affordable housing developments handled by local volunteers. Starting after Labor Day, organizers and volunteers undertook targeted canvassing, visibilities and events, phone banking, forums, and other strategies, and coordinated closely with the GOTV 2010 Coalition, coordinated by MassVOTE, which worked on “Vote No on 2” in Boston and other urban areas. On election day, volunteers held “No on 2” signs at 650 polling locations in more than 150 cities and towns focusing on high turnout precincts. With victory on the initiative behind them, organizers are looking to the future. “We showed how residents of affordable housing contribute to our communities and need to do that on a continuing basis moving forward. We’re hoping to maintain and build on the momentum and grassroots support from the campaign to advance affordable housing at the local level across the state,” said Gornstein.